Join the fun at our first Spring Benefit to raise money for camp scholarships! 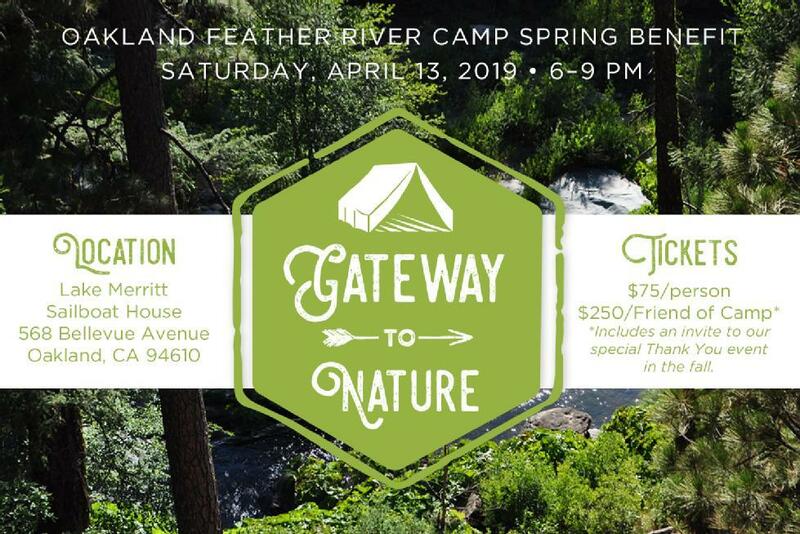 There will be great food, friends, and fun all while learning about Oakland Feather River Camp and its long history (since 1924!) of serving Oakland youth and families! In addition, don't miss out bidding on the great items we will have during our silent and live auctions.